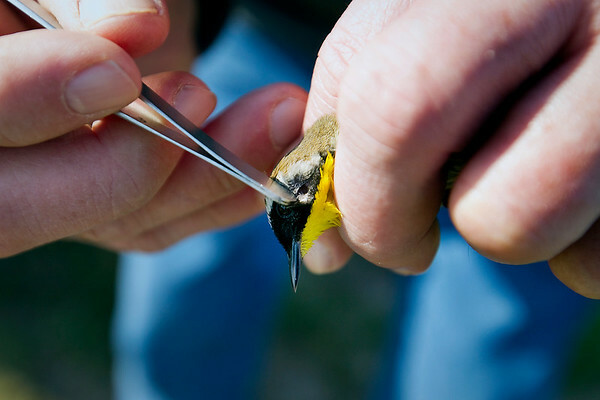 Bill Scharf inspects the ear of a common yellow throat for ticks in the Chippewa Run Natural Area in Empire. Scharf catches the birds to inspect them for ticks, and will also record measurements and banding them before releasing them. Scharf spends mornings seven days a week collecting the data for the month of May and from August 15 to September 15.